Suzy Shier Canada is offering a great shopping event. 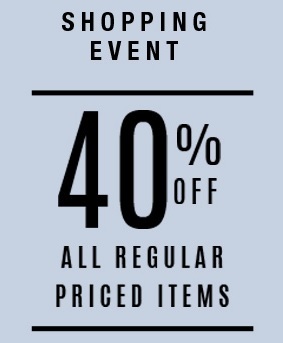 During this event you can save 40% off all regular priced styles! This is one day online offer only! So, there is no time to hesitate. Plus, $5 shipping on all orders. Official source of the information is Suzy Shier Canada. Offer expires 04/14/2016. For more details about the promotion visit Suzy Shier Canada official website.